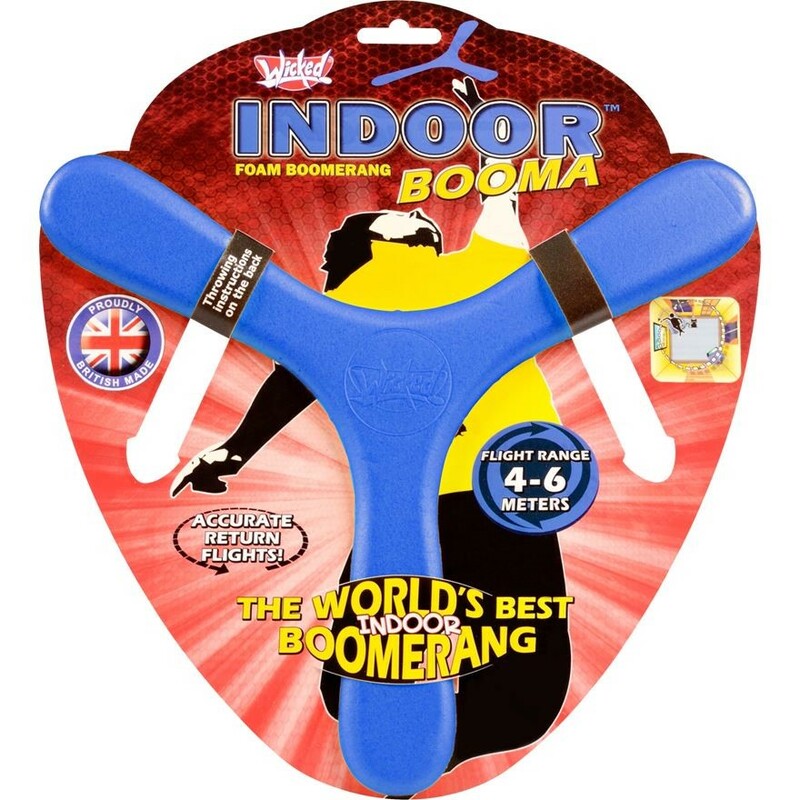 The Wicked Indoor Booma is the best indoor boomerang in the world! Made of special “memorang” foam, it is soft and safe, yet durable and versatile! With its special properties, you can tune the wings for different types of flight and the boomerang will stay in shape. When thrown as instructed, we guarantee your boomerang will travel around in a 4-6 metre circle and come right back to you! Made from soft foam so it won’t smash anything! ​Made in the UK and even sold to Australia.